Ever wondered how much you should pay for a lead? Or, which conversion metrics matter in judging sales effectiveness? Have you ever thought, “I know I should probably solicit some reviews for my community, but I’m not sure if it’s worth my time”? 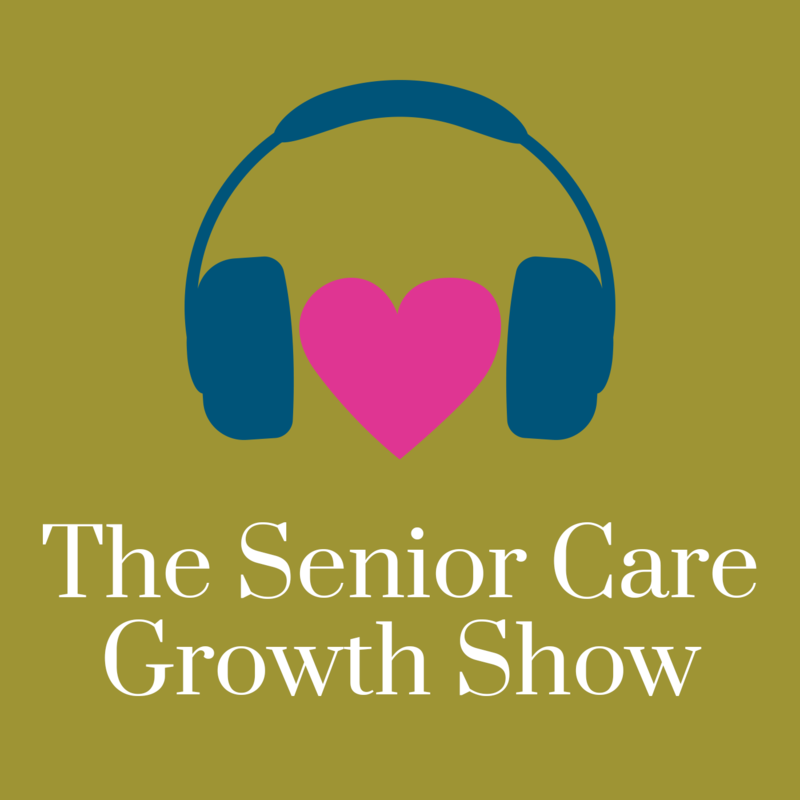 On this episode of the Senior Care Growth Show, Katie Roper, Principal at Catenary Consulting, shares her insights on how to generate more leads, what metrics matter in measuring marketing and sales performance, and just how impactful reviews can be. Listen now or read the full transcript below. Winston: Welcome everyone to this episode of the Senior Care Growth Show where senior care sales and marketing professionals come to grow. I’m super excited today to have on the show Katie Roper with Catenary Consulting. Katie, welcome to the Senior Care Growth Show! Katie: Nice to be here. Winston: Yeah, absolutely. And so just by way of introduction, maybe you could tell folks what it is that you do and what you’re up to these days. Katie: Sure. So I spent 10 years almost with caring.com and that was my first introduction to senior care. I didn’t know anything about it before I started with caring. And in the course of that time I saw an awful lot of senior housing and in home care providers and what they were doing to market their services, generate leads, and also got some real insight information about who was better and worse at closing those leads. Because of course since Caring only got paid when someone moved in, we knew who was moving people in and who wasn’t. Then I went to spend a year at Home Care Assistance, which is one of the larger providers of private duty, non-medical, in-home care, and spent a lot of time there thinking about what we should centralize versus what should be decentralized. So how much of sales and marketing and partnerships should be driven at a local level and how much at a central level. And then I recently realized that those two things, how do you effectively market your services and for a larger company, how do you decide what should be done locally versus centrally was something that lots of companies in the space were interested in exploring. So I have hung out my own shingle. I’m an independent consultant and I’m going to see how far I can go with this. Winston: Yeah, that’s awesome. That’s a really exciting time and you’ve got a lot of great experience. So I’m super excited to dive in today’s topic, which is really about senior care lead generation myths. And then also how can we use data to close more leads. And so if we think about lead generation, let’s maybe start at the top of the funnel. And what would you say are some maybe top sources that senior care professionals should be looking at for lead generation? Katie: Well, there’s been all sorts of research done across multiple industries and something like 90 percent of internet searches start with Google. So the answer is item one, two, and three should be Google. And the interesting thing about Google is that it gets a lot of credit for leads that are actually generated from other sources. People use Google as a navigation bar. They use it as a white page phone book. They, you know, even even if you know the url of the website you’re trying to go to, chances are good that you go to Google and you type in the URL in the search bar. We’re just so conditioned these days to start with Google. So, if you’re not organically showing up on the first page of Google search results in your area, then you really need to start thinking very seriously about buying leads. Either buying Google keyword clicks or buying leads from a company that does show up on that first page. Because while 90 percent of search does start with Google, only a fraction of those make it onto page two. Winston: That’s a good point. And so you mentioned purchasing leads. What are your thoughts on purchasing leads from a paid referral site? Katie: Yeah. So, I think it can be a very good idea. But like everything, there’s no one answer that is correct for every community. Obviously the best source of leads is your current residents. And the second best source of leads is everybody in the community who drives by your building all the time and sees your sign. So if you can fill up your community on the strength of those two referral sources, go for it. You don’t need to buy leads at all. If you are, if your website is so optimized and you’re showing up as the top result. When somebody types in nursing home in Palo Alto, California, then you’re probably getting a lot of leads organically and depending on how big you are and how full you are, you may not want to buy leads. But if you, if you have apartments for rent and you’re not renting them, it generally makes a lot of sense and a paid lead referral source can be a very good source of additional residents. A lot of people get very hung up on the cost, but what you really need to be looking at is a return on investment and profitability metrics. And as long as return on investment is positive, then buying leads from whatever source you’re buying them from is a good investment. Winston: Right, so even if that lead costs you $100 or $1000 or however much, if that ROI and the lifetime value makes it a positive transaction, it’s worth doing. Katie: Absolutely. One thing that I heard a lot of Caring.com was from communities who would call and say, well, you know, my monthly marketing budget is only a thousand dollars and if somebody moves in from a Caring.com lead, it’s going to cost me $3,000. So therefore I can’t afford to pay you for that move-in. Well, that’s kind of the wrong way to think about things, right? The way you think about things is this person is going to be a resident for a year or longer on average and every month they live in my community, I’m going to make call it a thousand dollars. That would mean that the expected value of that resident after you take away all of the other costs is $12,000. So if you don’t rent that apartment, you’re sacrificing $12,000 for the company and so you ought to be willing to pay up to $11,999 for a lead or, for a resident because that’s still profitable at the margin. Winston: Yeah. That makes total sense. And while we’re on the topic of paying for leads, you hear sometimes about exclusive leads. Are they really exclusive and is that worth spending extra for an exclusive lead? Katie: Yeah, that’s a really good question. I personally don’t believe that exclusive leads exist in this day and age because everybody starts their web search online and everybody starts with Google and on the page of Google, if you don’t call them back, if you don’t respond, if they don’t like you, they’re going to hit the back button and go down to the next lead on the page. So even if you work with a third party aggregator who says, I am not going to sell this particular consumer to anyone else, that consumer is not stupid. They’re going to get a second or third option. I mean, it’s a big purchase decision. Most of us get or to at least consider two or three options and they know that the next community or the next agency on the list is one click away. So if one person gives them one quote, they’re going to hit the back button and click on the next one down. So at aring, we never sold exclusive leads. And partly that was because I just didn’t believe that it was worth anyone paying extra because it’s an impossibility. It doesn’t exist. Winston: Yeah. That’s kind of naïve for, I think that they’re deemed exclusive. Caring.com’s not the only place they’re going to look for a home. They’re going to, they’re going to go on Google and they’re going to, they’re going to do the research and that might be one aspect of their research. Winston: And so, you know, that kind of touches on another point that you hear about people talking about how to handle paid referral leads and should they be handled differently than any other lead that you get. I’m kind of curious about your thoughts there. What would you say there? Katie: I don’t really think you handle them any differently than you do any other lead. And again, this goes back to the realities of the Internet. If somebody is online, we’re all so conditioned now to have instant gratification, instant answers. You know, we don’t even want to fill out a form, right? We want the information right now when we want it, and so whether that person is on your website where they got to organically or has submitted an email request or is calling on the phone, they’re expecting, you know, instant gratification. Somebody who can instantly answer their questions, instantly provide them with pricing information, availability information, services information, you know, nobody wants to wait for this stuff. And again, since every other provider in your town is literally one click away, if you don’t do it, they’re going to go find somebody who will. Winston: That’s a great point. So we’ve talked a little bit about lead generation and referral sites and that type of thing. What other activities would you say are helpful for generating leads? Anything else on kind of the lead generation piece there? Katie: Yeah, so I think the most important thing you can do, whether you’re getting your leads from organic clicks or from a third party referral source is to have lots of consumer reviews. We all, again, this is just consumer behavior. In 2018, we’re all conditioned to look at reviews and we’re pretty sophisticated consumers nowadays of reviews, right? If you read 10 reviews and they all sound really canned, if people use correct English and proper spelling, you kind of start to get suspicious that that’s not really a valid review. If you see 50 reviews and they’re all five stars, you say you, there’s something going on here. So it’s actually really important to get reviews and also to get reviews from real people who are going to talk about your product or service in a way that normal people talk about things because we’re all, our radar is up, you know, trust in institutions is eroding across the board. And so all of us today are hypersensitive to fake news and fake words So that you know, whether somebody reads the reviews and calls you directly or reads the reviews and fills out a lead form or reads the reviews and finds you through A Place For Mom, it’s all the same. They’re reading those reviews. Winston: Yeah, that’s a great point. And I think a lot of people overlook that and they sort of overlook the value of those reviews. But if you put yourself in the consumer’s shoes for a minute and you’re thinking through that research process, they’re going to look at the different websites of the different communities, but then they’re going to want to validate what’s being said on those websites. Because to your point, I think that the trust in those institutions, and not because of anything in the senior care world but just in general has eroded. Yeah. And so I think people really do want to see, see another unbiased source from people who have actually experienced that organization. Katie: On the topic of unbiased, you know, reading testimonials on your website. Those are not unbiased reviews. Maybe there are people who still believe in that stuff, but I think most sophisticated consumers don’t really believe that the testimonials on the website are giving them a complete picture of what it’s like to deal with that service provider. Winston: Yep. I would agree with you. You’ve talked a lot about some good ways to generate leads: paying for leads, getting them organically through your website, building that great reputation with really solid reviews and what that can do for you. So the next question, kind of is around converting those leads, how do you measure conversion of a lead? Do you see that as just if they convert to a sale or what other types of conversion points should senior care marketers be looking at? Katie: Yeah, so conversion is an interesting number because that’s everybody’s first, first idea of how to determine whether a lead is a good lead or a bad lead, right? Well, how does it convert? I have a lot more skepticism about lead conversion numbers than I used to do for a couple of different reasons. One is that at Home Care Assistance, one of the early things that we worked on was to centralize our lead intake process. So it used to be when somebody filled out a web form or made a phone call, those people were sent directly to our local office and ideally they talked to the local salesperson who did a great job of explaining all the different options in scheduling an in-home assessment. But honestly, a lot of times that salesperson was either out of the office making sales calls or out of the office making in home assessments or on the phone talking to other people so they got the office manager or the payroll person or whoever else happened to answer the phone or they went to voicemail and got a call back a few hours later. And that was really not a great experience for the consumer. And I’m also meant the leads didn’t convert all that well. So we set up a little teeny call center and started sending essentially all inquiries paint or, or not to a specialized team of people who would answer the phone and screen and qualify and answer the basic questions and schedule an in-home assessment for somebody at the local office. And when we did that, what we discovered was that lead conversion went down not up. So whereas our paid clicks on Google, the leads who are buying from Caring.com, they all went down, the conversion numbers. However, the total number of starts of care that we were getting from the exact same marketing spend went up, so what we discovered was that when those leads were going to the local offices, a lot of times they weren’t getting put into the system, so if it was somebody who was, you know, anxious to start with check in hand and ready to start tomorrow, that person got put in and so the conversion numbers were misleadingly high before we centralized. However, that the real value to the company was in the absolute number of starts of care and that in the case of some offices doubled when we centralized lead intake and that’s what really matters. It’s not conversion rate. Winston: Yeah that’s so interesting. You can sort of sympathize with the salesperson who’s at the local level who’s trying to do so much and they get somebody who they don’t think is qualified and they just don’t make it into the CRM because they don’t have the time to do it. Katie: Yeah. I’ve managed enough salespeople in my career to know that if you think salespeople do data entry, you’re deluding yourself. Winston: Yeah, exactly. That’s so interesting. Yeah, I, yeah, I love that idea of cleaning, making sure that the data is accurate. First off. I mean because you were really comparing bad data to now valid data so while the trend looked pretty bad, it actually was fine and the fact that you were getting more customers was the end goal there. Katie: Well, and the thing that really matters is getting more customers and getting profitable customers and conversion rate is one metric on the road to that. But if you, let’s go back to the example we were talking about. When you’re making a thousand dollars a month in profit for each resident who moves into your community and those residents are going to stay on average of a year. That’s $12,000 of profit to your community. So if you have a lead referral source with a very low conversion rate, but the leads are really cheap. It could be that that’s an excellent source of residents because it only costs you a couple hundred dollars and that resident is going to be worth $12,000 to your company. So, yeah, everybody likes the easy wins. So if you have a lead source that converts at you know, 25 or 30 or 40 percent, you’re going to do that all day long until they can’t get you any more leads. And then if you still have beds to fill, you’re going to have to look at some lead sources with the lower conversion rate and that doesn’t mean they’re bad. Katie: Exactly. Now conversion rate if, if you are comparing apples to apples. So if you want to look at leads from Caring.com versus leads from A Place For Mom, then you might want to compare conversion rates there. Or if you’re looking at, you know, Jenny, the salesperson versus Andy, the salesperson, you might compare how Jenny is converting leads from a particular source compared to how Andy’s converting and do some coaching or training depending on that. So it’s not a useless number or a meaningless number, but it’s only one element in a broader evaluation of how your marketing programs are working. Winston: Yeah, I think that sounds good. Katie: The other thing to keep in mind is that it’s very rare that a lead source operates in a vacuum. So one of the other interesting things we discovered when we centralized lead intake at Home Care Assistance was that many of the leads that we were counting as coming from a google form, were actually professional referrals. The doctor said you should call Home Care Assistance and the consumer went online to do some research and maybe she didn’t really quite remember our name or maybe she wasn’t sure that she trusted the doctor or maybe she lost the brochure of ours that the doctor had given her or whatever. So she went to Google, she typed in our name and of course there was the form and says, oh, OK, well there’s the number I’m going to call that number. So, you know, the Google clicks were converting at a very high rate, but that was because the doctors were, or the professional sources, were saying these are the people you should talk to and Google just happened to be how they got our phone number, so that’s another reason not to get so hung up on, on conversion rates. Winston: To your point not so hung up on the lead source because that might not be too accurate. And I think that also goes back to the importance of having those reviews and having a really solid web presence so that, you know, like you said, somebody might have been referred by a doctor and they say, you know, go check these people out and they’re going to google you. And what if they Google you and they see only for reviews and they’re all two and a half stars that, you know, it’s going to turn them off and they’re going to go somewhere else. Winston: Yeah. That’s great. Let’s see what other questions that I have for you. This is great stuff. I love, I love how all this stuff sort of comes together. What, what would be some other advice for marketers? Katie: Another story about, the impact of reviews. I had a client at Caring.com who was signed up with us and for years would complain your leads stink. Nobody ever moves in, you know, this is a bad, a bad source of leads. And I kept saying, well, you need to get reviews, you know, if you have a lot of reviews, people are going to call you back. So finally one year he decided that he was going to make an effort and he went out and got 12 reviews and guess what? All of a sudden when he called and left a message, people started calling him back and once they called him back, he could talk to them and ended up scheduling tours and moving them into his community. But before he had those reviews, exact same leads. I mean Caring.com wasn’t doing anything different. We were sending the same people that we always had, but once he got the reviews, it was like someone flipped a switch and all of sudden those leads went from not converting for him to converting for him. Katie: Yeah. And we saw that at Caring. We saw that in aggregate data as well. Across all of the providers, those who had more than about 15 reviews would convert the exact same leads like seven times higher compared to people, communities with no reviews. Winston: Wow. Yeah. That is a, uh, that’s a really powerful statistic. I think that really proves the value of having those reviews in place. So just on the lead generation side, we’ve talked about a lot of really good things. It sounds like paid referral sources are definitely still a viable option and something that the in the right circumstances makes a lot of sense. And it also sounds like to have a really robust lead generation engine online. You need a great web presence and a good website that ranks highly, uh, you also need reviews that support your messaging. And then on the conversion side will be very responsive and to your example earlier, maybe think about a centralized point for all those leads. Katie: Yes, I am a huge fan of, of centralizing that lead intake. Winston: Yep. Gotcha. And what other advice on closing those leads, would you have for folks in converting those leads? Any other best practices that you’ve learned along the way? Katie: Yeah, you know, some simple things like make sure your phone number and your address are prominently displayed on the front page of your website. I can’t tell you how many times I went to a senior housing company site and had no idea where the community was. I mean it seems small, but you know, if you’re stressed out adult daughter who doesn’t live in the same town where her mom is and where she’s looking for senior housing, you know, she may not know where the particular neighborhood is or where, you know, right next to the mall, she may not know where that is. But if you’ve got an address, you can put it in a map and see just how far that is from things that she does know. And if you’ve got a phone number you can pick up the phone and call. Winston: Yeah, that’s a great point. And that’s one of those, that does, it does seem so obvious. But then when you’re working in that organization, you just don’t think, oh, I need to update the website and put the address on there, but that’s a great callout. Katie: Or you know, people say, well, if I put my phone number that prominently, I’m going to get a lot of junk calls. And the answer is, well, that’s why you have a central person whose job is to answer the phone, right? You don’t have your highly paid sales director or your ED being a person who screens those calls, get somebody whose job is just to answer those phone calls and sort out the ones that you know you’re not interested in from the ones that are gold. Winston: Yeah, that’s all. Those are great tips. And so on that note, we’ve talked about a lot of different ways that people can generate more leads, things they should look at, conversion points and otherwise, in closing those leads, what would be sort of your next steps for somebody that says, wow, Katie, this is a lot of good advice. How do I get started? What should I improve today? What are the first things I should do? Katie: Yeah. So, if you don’t already have at least 20 Google reviews for your community, that’s the first thing you should do. And if you don’t know how to get them, well, first of all, you just need to ask. And second of all, it’s, it’s perfectly OK to do something like set up a contest between all of your buildings and see who can get the most reviews. We did that at Home Care Assistance and one of our offices that had no reviews and had been resistant for years, in a month, ended up getting 65. And all of a sudden they got into the three pack on Google maps and the number of leads they were getting from the web just all of a sudden increased just right away. And you know, that cost us 100 bucks or something as a sales incentive. So while you don’t want to pay people to write reviews, it’s perfectly OK to incent your own staff to take the time to ask their happy clients and families to post a review. Katie: Beyond that, I would say strongly consider centralizing your intake. You don’t have to sign up with a fancy call center. You can have a couple of people in your office and set up a very basic phone forwarding system. And hey presto, you’ve got centralized intake. And then finally I would say it’s really important to know what a resident or start of care is worth to your organization because that’s really the core thing that you need to make good marketing decisions. If you know that somebody’s expected value is $12,000, you know what you can spend in order to get somebody into that apartment. Winston: Yep. That’s great. Those are three things that I think really people should think about doing and get started on it and that’s excellent advice. And, so on that note, Katie, I want to thank you so much for taking the time to be on the show today. This was awesome. Katie: Yeah, thanks for having me. It was great!